Disclaimer: The Documentation Center is a collection of third party information that a reader may find of interest. All efforts were made to prevent unauthorized use of copyrighted materials, however should an item have been overlooked please inform us. Where known the source name is reflected in the document name. Have a Document to submit? Send it to us for consideration. 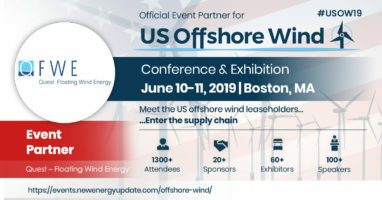 Copyright © 2019 Quest Floating Wind Energy, All Rights Reserved.